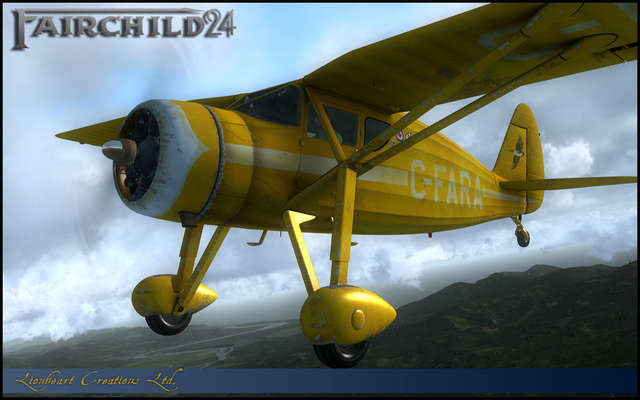 Born in 1932, the 'Model 24' was a radical move by Fairchild to gain a strong hold on the Private Pilot sector. 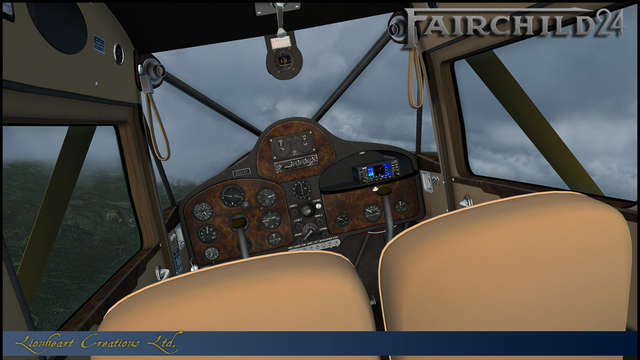 With an interior designed by famous American Industrial and Automobile Designer Raymond Loewy, the 24 featured items such as roll-down windows, automotive door knobs and cranks, comfortable seats, and many other automotive-style features, making the 24 one of the classiest and most comfortable planes of the era. 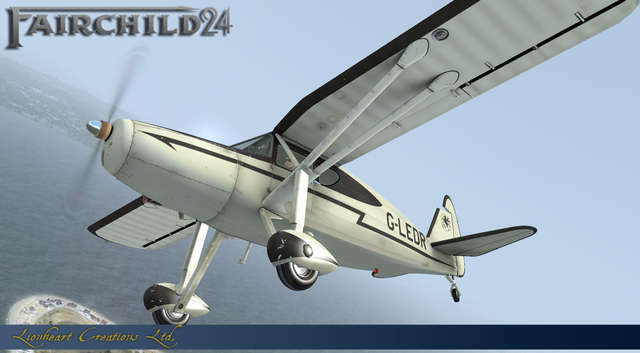 Another feature of the 24 Series was the rugged, massive landing gear. 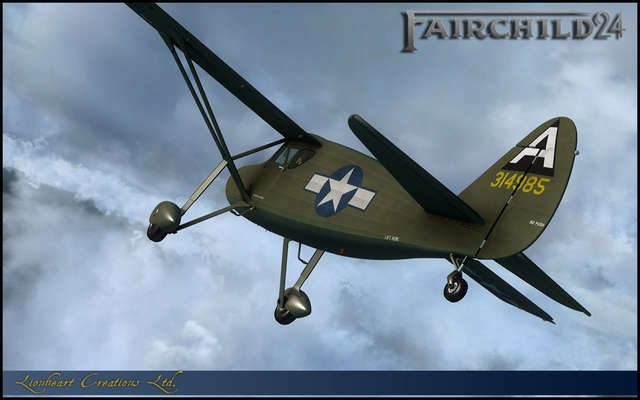 Looking more like something from a Fiesler Storch, the landing gear enabled one to land in locations without runways, making the 24's uses broader. 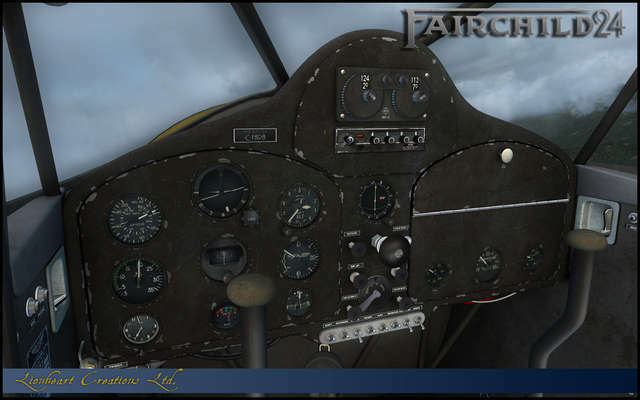 During WWII, the 'Argus Edition' was created for military duty and many were sent to Europe. 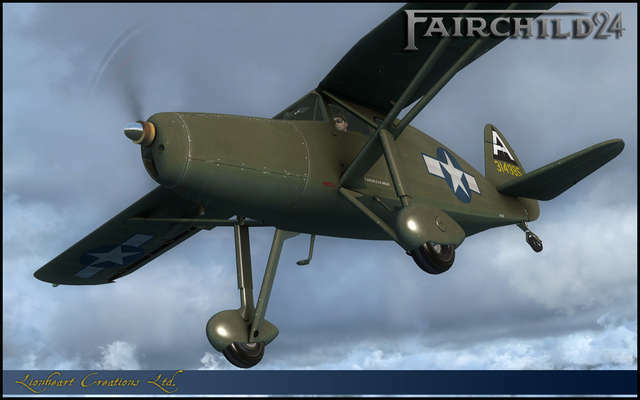 In the US the Argus saw duty as a coastal spotter, keeping a lookout for Japanese and German submarines. 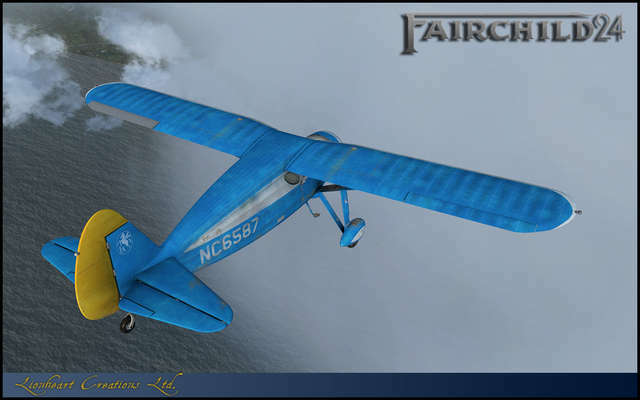 The Argus could carry two 100 pound bombs and it was successful in more than several confrontations with German U-Boots. 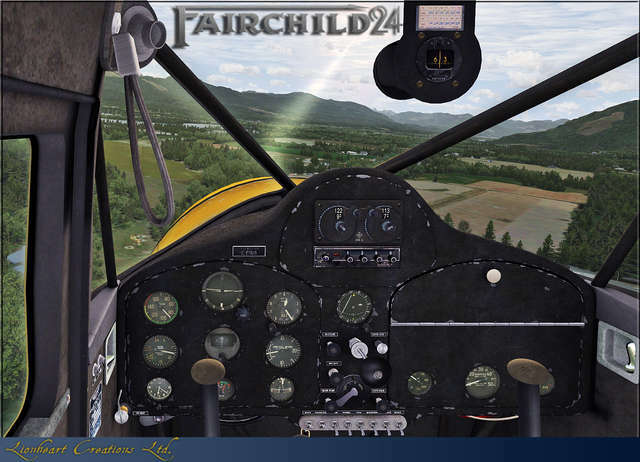 This aircraft package features everything from stock, early, vintage production planes to the WWII Argus Series, impeccably restored waxed versions with no oil or chips on them, to very rough lived-in Bush plane examples. 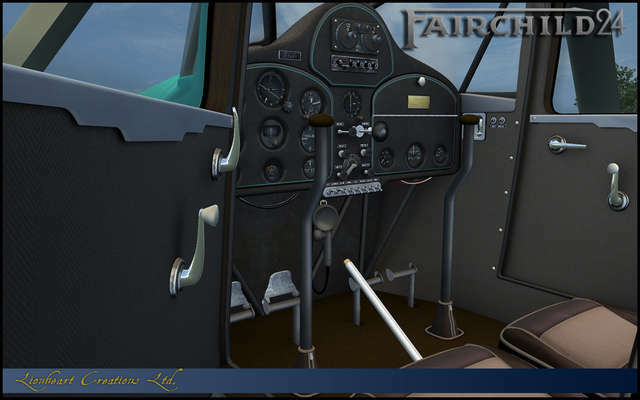 Each plane has custom interior schemes and variations that even include panel paint scheme customisations. 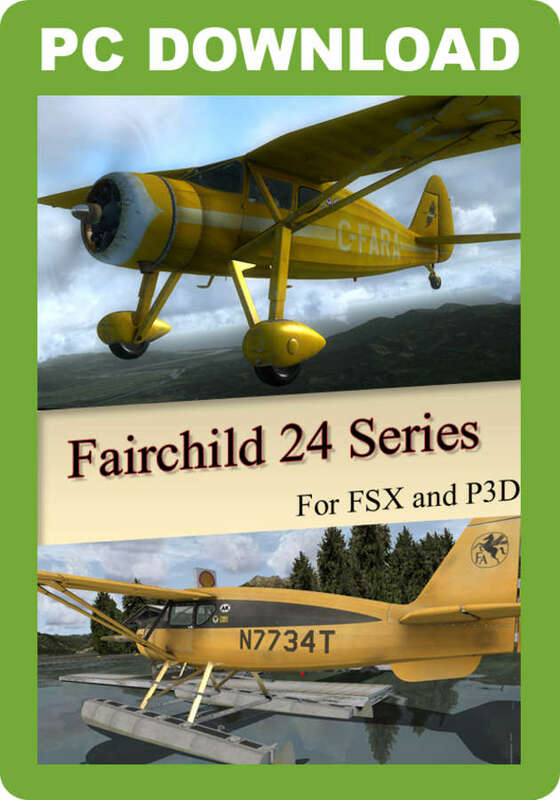 This is a massive package with over 36 versions and variations. 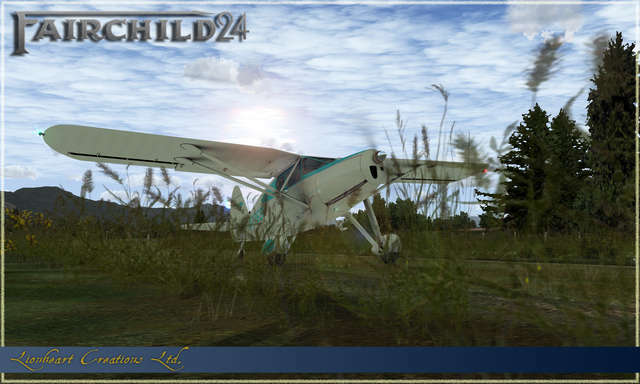 Another neat feature is that you can turn off / detach the wheel skirts and the suspension of the landing gear is converted to the bush plane version. 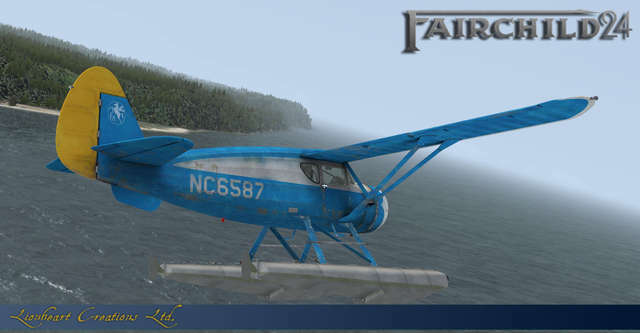 Also available are float planes in both the Ranger and Warner editions. 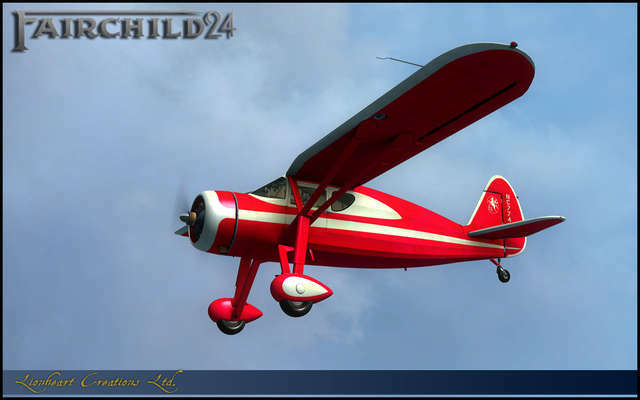 See this Web page from the developer, Bill Otris, for more information on the development of the Lionheart Creations Model 24! 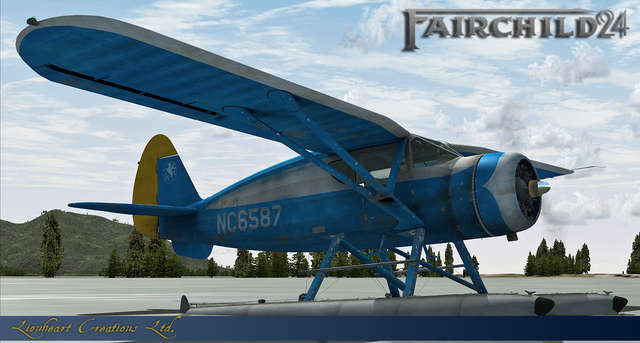 The airframe of the Fairchild was welded steel tubing in the fuselage area with wooden runners which created the shape top and bottom, wooden shaped leading edges of the tail sections, and wooden framed wings and a high rated wood spruce spar beam in the wing section as well. 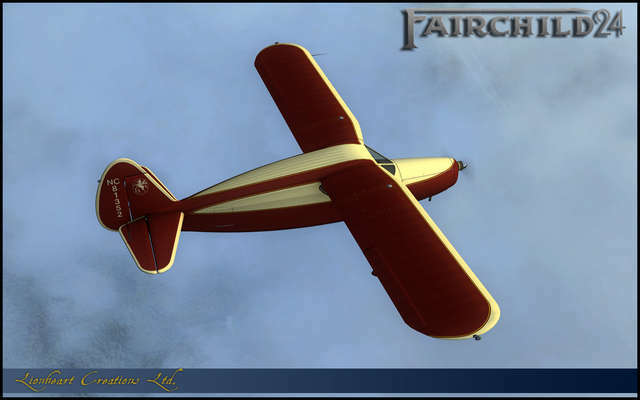 The airframe was covered with cloth/Dacron throughout and nicely finished. 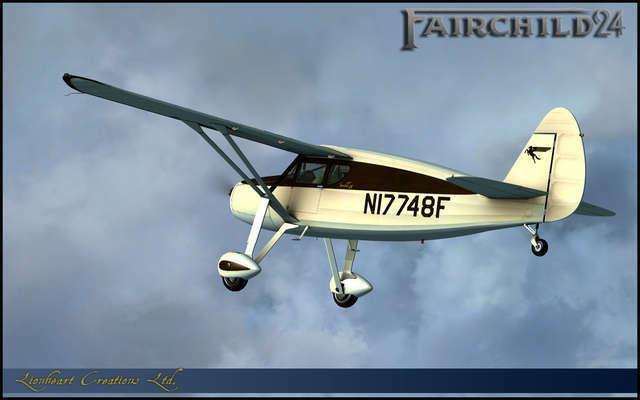 Today Fairchild 24s can be seen at many fly-In events, usually having been totally restored down to the bare frame. 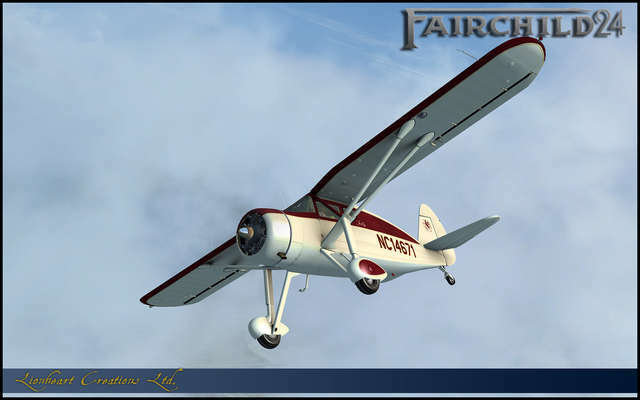 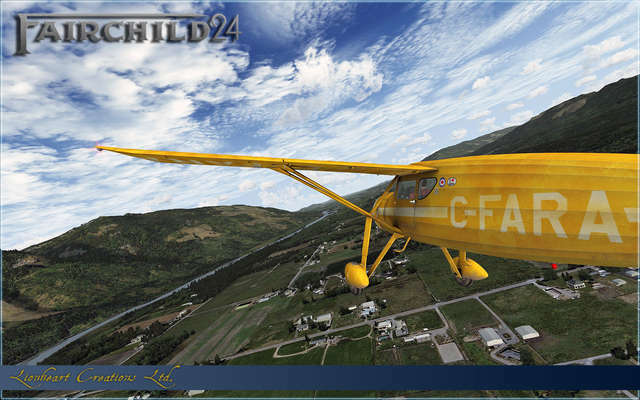 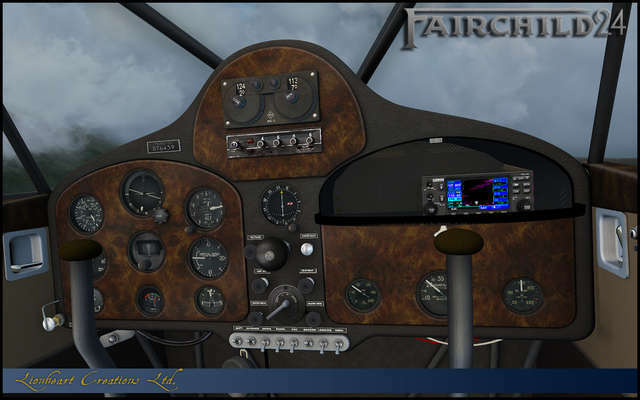 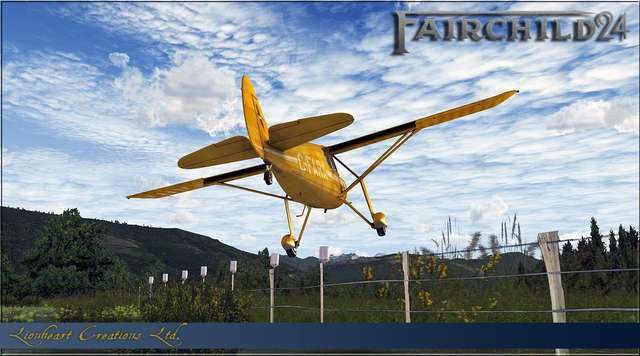 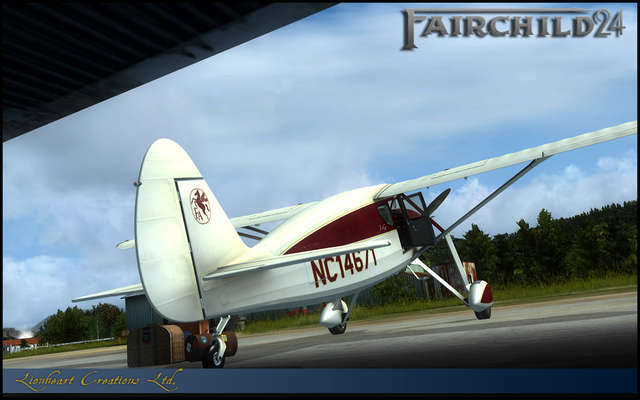 This comprehensive Fairchild 24 package features this multi-role American aircraft in a total of 37 classic, bush, float and WWII Argus Series variants, with high-resolution textures, different panel versions and a selection of interiors. 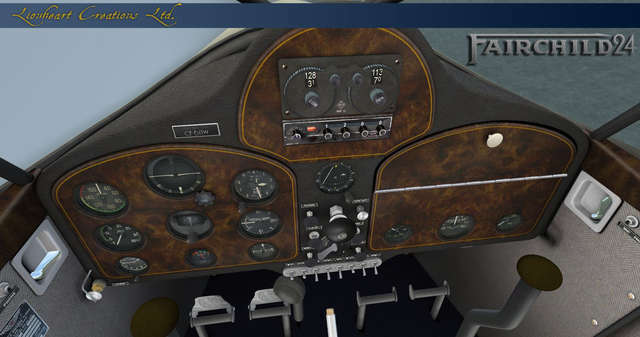 Other features include vintage instrumentation, pop-up 1940s-style manual and checklists in the virtual cockpit, animated pilot, custom sound sets and a host of those little modelling touches that make Lionheart Creations' aircraft so unique!